The latest Android OS, Marshmallow 6.0 has been launched yesterday at the Google I/O 15 in San Francisco, 29th September 2015. Here are some of the smartphones that will get the update via OTA (Over the Air) as culled from AndroidPit. This is a first List so Start feeling Lucky if you fall under any of the categories below. As we may know, Nexus is a priority as it's one of Google's big project on smartphones and gadgets. Google has revealed that the Android 6.0 Marshmallow update will delivered OTA to the Nexus 5, Nexus 6, Nexus 7 (2013), Nexus 9, and Nexus Player on the week. This will begin from October 5, 2015. Samsung has not yet commented on its update schedule, but that hasn't stopped some websites from claiming they have an 'official' list of Samsung devices due to be updated to Android Marshmallow by the end of the year. YouMobile recently added the Galaxy Note 5 and Galaxy S6 Edge+ to its list, and while we don't put much stock in the information, most of the devices listed are pretty safe bets. The Samsung flagships released this year will almost certainly get Android Marshmallow, either before the end of the year or in early 2016. We've reached out for more details on the Android Marshmallow update for Samsung Galaxy devices and will fill you in on anything we hear. HTC has already announced that the HTC One models M9 and M9+ will get the Android Marshmallow update. It isn't clear yet when other devices, such as the HTC One (M8), will get it too. Stay tuned for more on the HTC Android Marshmallow update schedule. 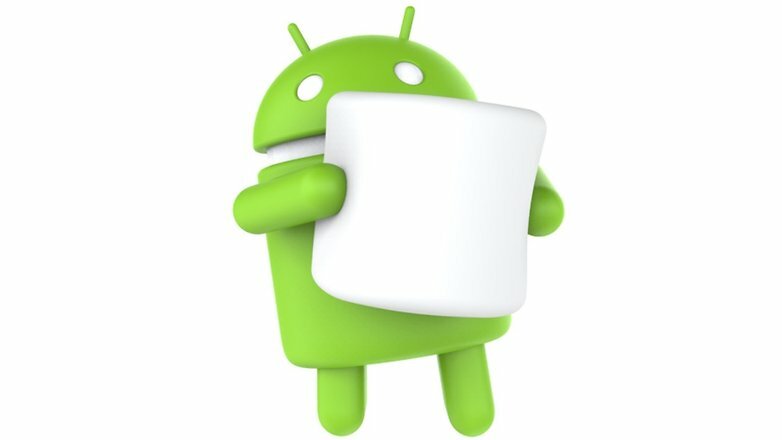 Although there is no official word on the LG Android Marshmallow update, the LG G4 and the LG G3 will certainly receive Android Marshmallow. We've sent LG a request for comment regarding its update plans. We will give you details when we get a response. On a side note, a Greek website uncovered a comment on LG's Greek Facebook page stating there are no plans for Android 5.1 for the G3, which possibly indicates that the device will jump straight to Android Marshmallow instead. Motorola's smartphones usually get updates quickly, so the Moto X (Pure Edition), Moto X Play and Moto X (2014) should be some of the first smartphones getting the Motorola Android Marshmallow update. But models such as the Moto G (2015), Moto G (2014) and the new Moto E are also likely to get it relatively quickly. Huawei might see Android Marshmallow as something sinister – that's because it must first roll out Android Lollipop to its latest smartphones. Only after that can we consider the Huawei Android Marshmallow update as something to look forward to. Huawei has said that the P8 will be the first device to get the Android M update, but has not given us a date for when this will occur. In the African market, people do hope that soon their smartphone manufacturers , like TECNO, INFINIX, INNJOO and others would be preparing this OS update for its users especially new models as Infinix Hot 2 (Android One) as it's been said that the device's OS is handled by Google themselves. Also, the new Tecno Phantom 5 which claims to be Premium, a device at that level is not expected to be left be behind at times of updates. When do you think you'll get the Android Marshmallow update? I don't even think we can get it on Innjoo Note Pro soon cus we are still waiting for Lollipop so how can we have Android Marshmallow ? I can't wait to operate a smart phone with that Android Marshmallow OS.